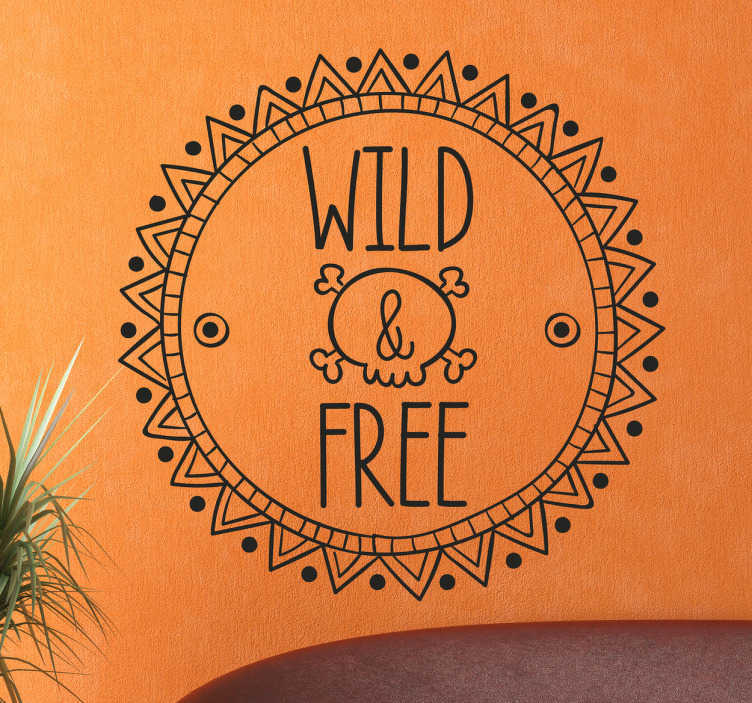 Let your true spirit show for all visitors to your home to see with this "Wild and Free" decorative wall sticker! Perfect for living rooms and bedrooms, this sticker features a tribal patterned circle containing the text "wild and free" alongside a skull and crossbones. This vinyl is applicable to any hard smooth surface and comes in a wide variety of different sizes!